Imagine balancing with your one foot planted on a strap raised a foot off the ground, your arms reached out in warrior three. Your core is strong, your body is rooted, gentle swaying with the breeze. Although the line slightly sways back and forth, you are able to plant your toes and continue the yoga dance up and down the line. Last weekend, on a girls get away, I once again had the opportunity to embrace the childlike pleasure of play. One of the attendees brought with her a passion for acro yoga and a slack line. Ever curious, I assisted her with harnessing the slack line onto the two trees in the cottage and watched as she effortlessly danced through the trees. Overconfident, I volunteered to try out the slack line. I was astounded by how the strap waved as soon as I made contact with my foot. When I finally hoisted myself up with friends on either side of the line for support, I realized that not only was this going to be fun but also an amazing core workout. What is Slack Line Yoga? 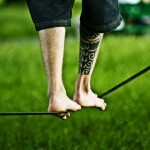 Using a slack line is different from your traditional tight rope, as a slack line is dynamic. The line moves as your body moves encouraging the use of the tiny oblique muscles in the core. 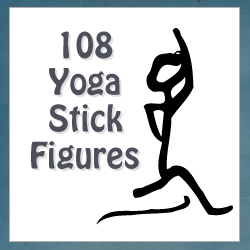 The beauty of this type of yoga is can be done by almost anyone, with a bit of patience and perseverance. For beginners, you can start quite low from the ground and harness a support wire to hold onto and help with your balance. I was actually extremely lucky, because we set up the slack line right under a clothes line. This allowed me to increase my own confidence with the strap line while having the additional security of a support line. After about an hour of practicing, I no longer used the support line but is always nice knowing it was there. The beauty of the practice (aside from it being a lot of fun) is that you can incrementally make it more challenging. The longer the line is the more it will move. For extreme sport enthusiasts, you can also add in a harness and increase the height of the line. Some slack liners perform yoga at extreme heights appearing as if they are completing their asanas in midair. 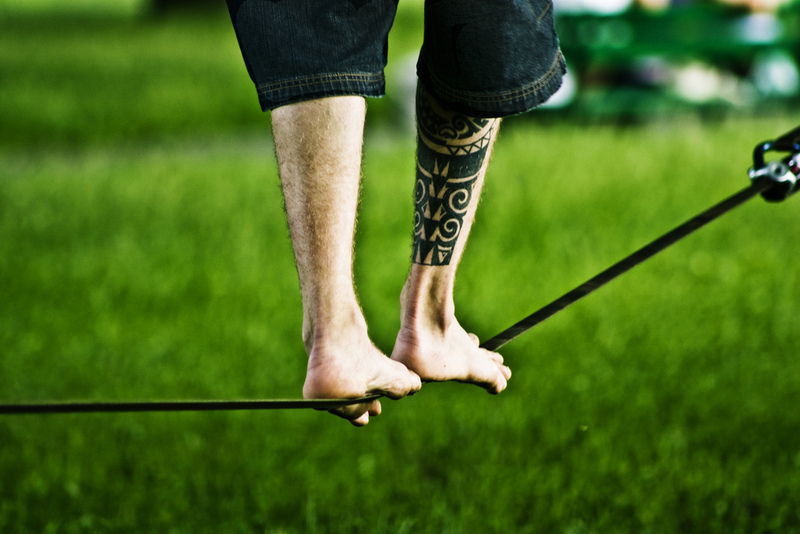 In describing slack lining, advocates use powerful language such as committing and connecting. The practice is a combination of balance, core strength and the power of our own mind: a beautiful illustration of the mind, body, spirit connection necessary for an inclusive yoga practice.